Among the mass of proven marketing techniques and tools, Bulk SMS marketing has recently surfaced the most usable and effective technique as a result of its instantaneousness. In fact, bulk SMS marketing creates a huge difference in turning around business sales, attracting new customers and more! . BroadNet Technologies is a premier telecommunication service provider in the industry offering first-class bulk SMS services to the businesses from every walk of life. We have made a record of delivering sumptuous and result-oriented Bulk SMS solutions to our global customers. Ever since we commenced our IT and telecommunication company online, we have been catering to the needs of customers from every walk of life. We consistently use groundbreaking tools and technologies to deliver the best and the most effective results to our ever-increasing base of international clients. We send SMS to the worldwide clients via different SMS gateways. So whether you want to announce something important about your business to your targeted audiences or you are about to release a new business product/service and want to inform your customers, we give you the word to cater to all your requirement aspects end to end. We will also play a large role in creating and carrying out your bulk SMS campaign considering your requirements. We will make sure that your bulk SMS campaign runs effectively, without any problem. On the other hand, if you wish for having a customised bulk SMS campaign, we feel at ease to meet your requirements in accordance with your specific requirements. Apart from regular bulk SMS services, we also specialise in offering White-labelled Bulk SMS Reseller services on a shoestring. All messages are transmitted via Express Dedicated Messaging Route via foremost Telecom Operator networks exclusively. We are armed with a dedicated 24/7 Technical Support team to deal with and offer comprehensive product training to Resellers. 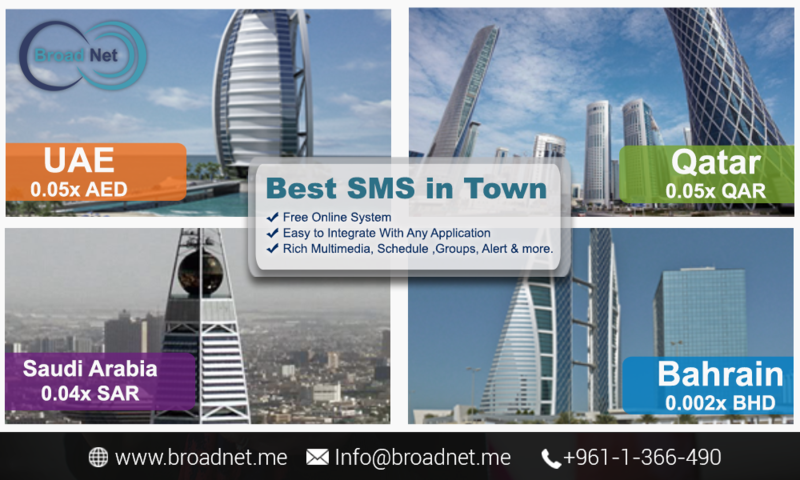 To learn the nitty-gritty of our bulk SMS reseller services, kindly write to info@broadnet.me.